So I haven’t been able to do as much fishing as normal recently. I blanked last weekend with Neil, the offshore wind didn’t help or the big bright moon but where they to blame or was it a case of no fish present or just bad angling and other techniques would have produced the goods… To be fair I had a hangover and I didn’t have a huge amount of enthusiasm. Friday looked good though with light onshore winds all day, I fancied giving it a go at a favourite mark I haven’t fished much this year. Always prefer it in a onshore wind and some swell and the fish fight really hard but my favourite winds have been pretty non existent this year so far. Can guarantee we are owed a decent dose of hard blowing onshore winds at some point though and no doubt it’ll just be too much when it does finally grace our shores… Anyway I planned to leave work early, fish the tide in over some shallow reefy ground and hit the beach over high as it got dark. I gave my mate Dave Campbell a shout at lunch time and he fancied meeting me down there with his friend Damen. It’s always good to have a catch up as we don’t fish a huge amount together. 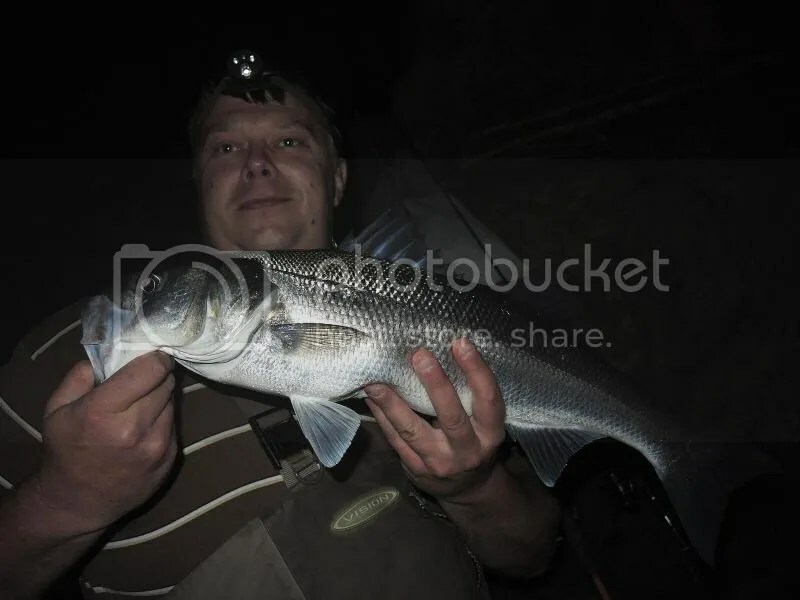 I was just bouncing a Black minnow through the unkown when I heard a whistle and saw a wave from the top of the cliffs. Dave and Damen had arrived. I carried on fishing my spot as it did look good but nothing was doing. One I will remember though and shall return… Reckon a bit more swell and if the tide was a bit lower it would have looked very tasty! The darkness was nearly upon us when in the last bit of light I could make out Dave and Damen looking at the floor. I ran over and WOW… Damen had nailed a beauty… Standard SGS real pearl just straight retrieved and it nailed him right in close behind the breaking wave. Damen with his 72cm PB! Buzzing I think is the best way to describe the situation. 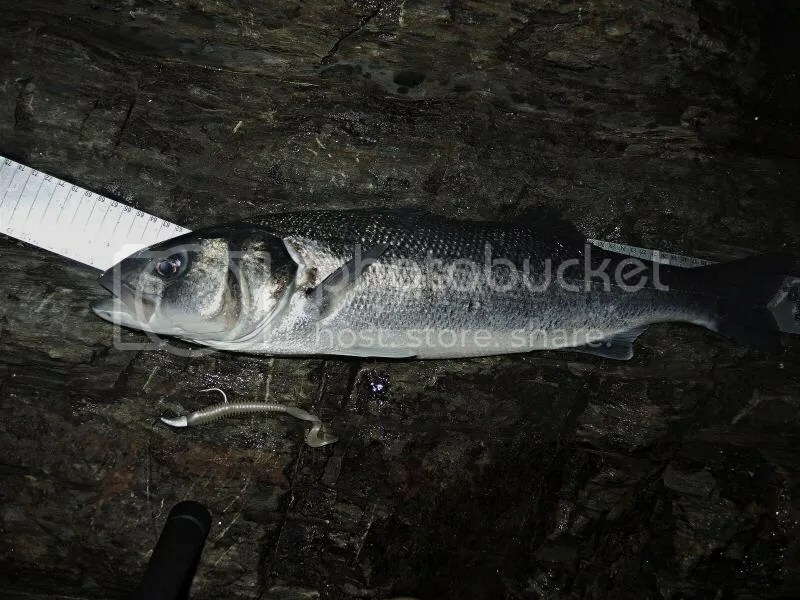 A new PB for Damen and considering he wanted one over 50, one 22cm bigger is a pretty good way to do it! I was buzzing for him, this year wasn’t easy for him, his fishing time has been limited and he struggled to find the better fish last year so I would say this is very well deserved. Put in the time and effort and you will be rewarded. 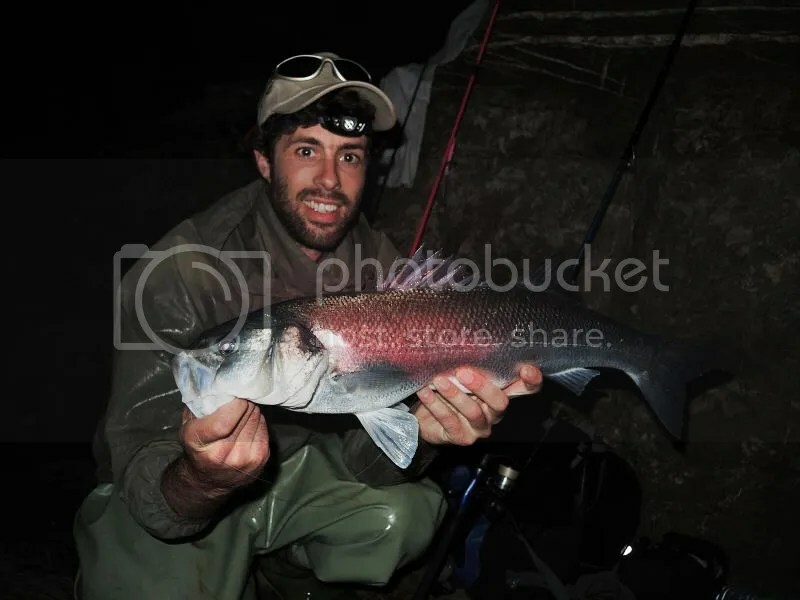 It was just Dave to get one next and he failed to connect with a couple of good hits, Damen was still buzzing but that didn’t stop him nailing is his second of the evening at 52cm another nice fish! I couldn’t buy a bite, where they just not at my end of the beach? I eventually reverted back to the trusty SGS and went in to my favourite spot. The weed wasn’t so bad anymore and a little tap meant I had a bite. I was slow to react as it was the tinniest of taps… Still I lifted in and a spirited fight meant a tidy fish. 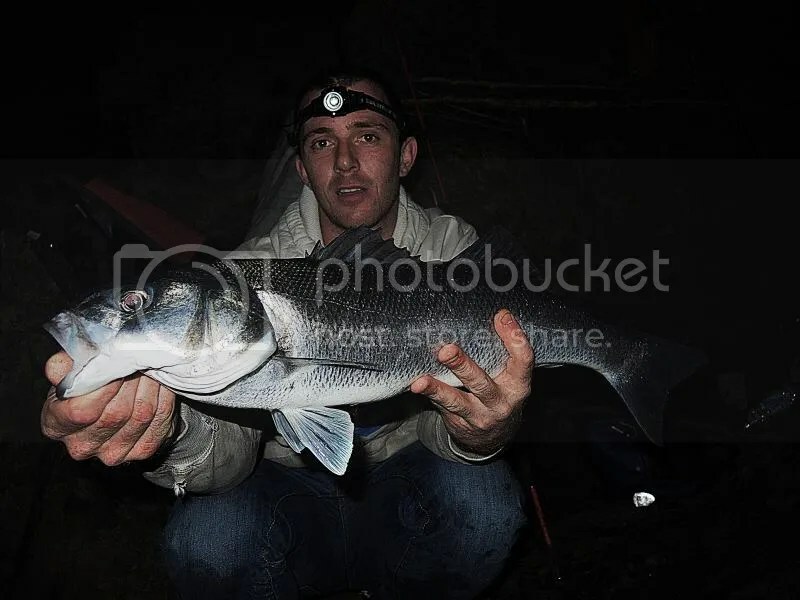 53cm and a fish not to be sniffed at in my books. The night was Damen’s for sure and i’m really happy for him. Was a tidy little session and good to know there’s some nice fish in this area. Somewhere i’ll be putting a bit more time in soon. The area was really weedy on arrival and something we have come to accept. 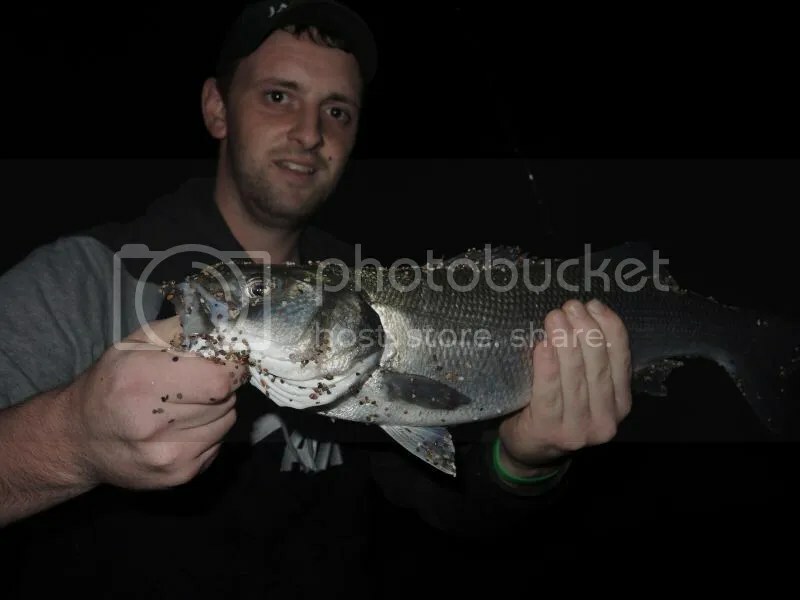 I fished into some deeper water away from it in hope of picking up a schoolie or something before the darkness settled in. One lift of the rod with the SGS followed by a little tap resulted in an unexpected Wrasse. 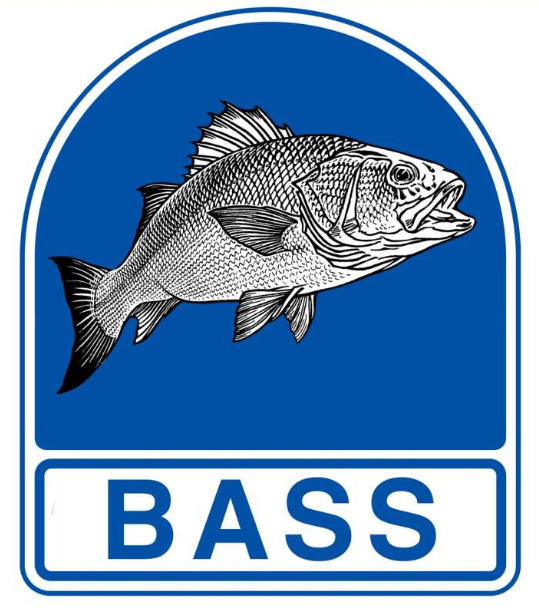 I did think it was a Bass at first… It started to get darker so I made my way back to the boys. 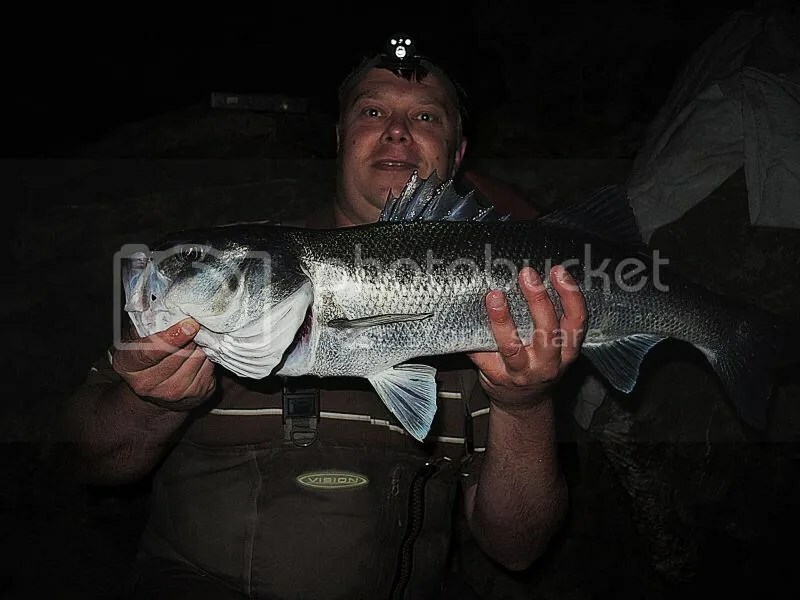 Dave fished a home made Swim senko and mananged a new PB and the best fish of the night at 71cm! 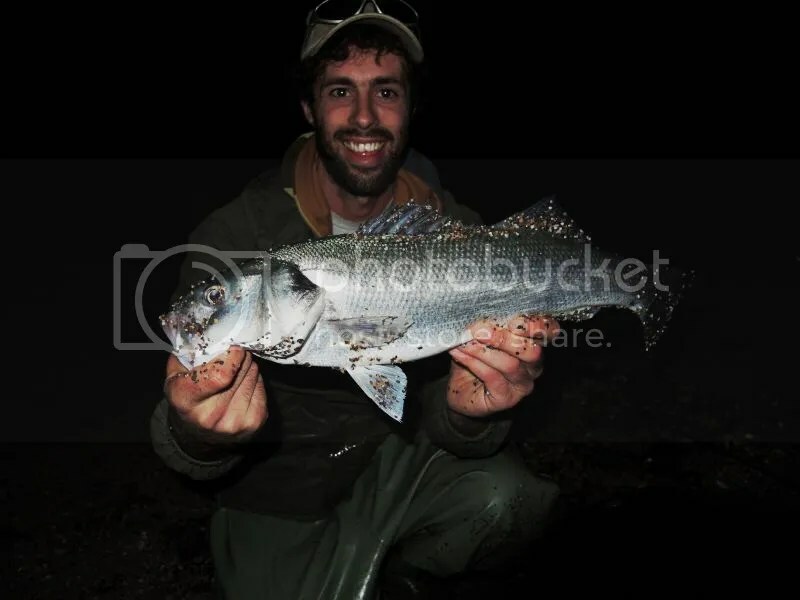 Dave with his 71cm PB and a big smile! Get on! I’ve decided to try a lure out tonight. One I have been meaning to fish but always forgot about it. Something i’m sure would work and something a bit different. 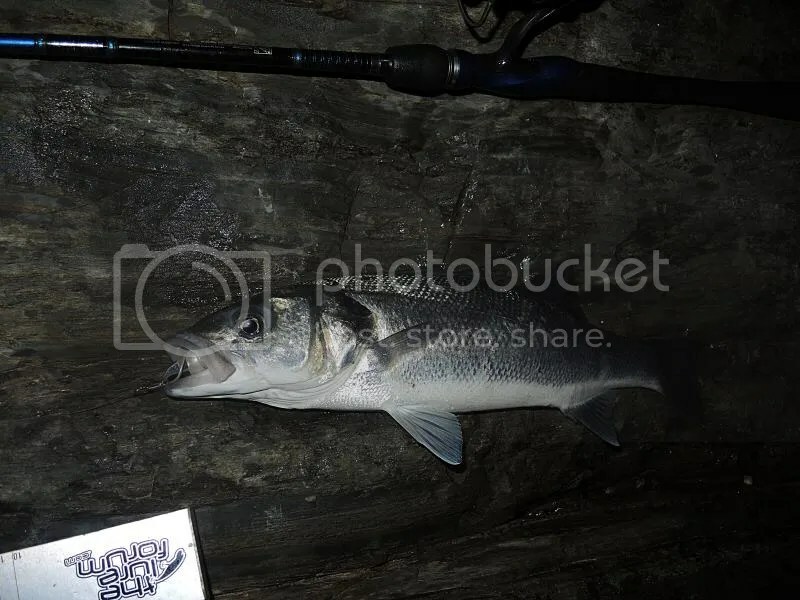 The Seaspin Bikoa… now I have never been a fan of curly tailed soft plastic’s and there’s no reason why I should be. But checking these things out in the water they look really great. I’d describe it as having the profile of a straight tail soft plastic but with a little bit of vibration from the tails. At 5 inches they are a nice length for a mixture of all species and I reckon they might work really well for the Wrasse too. Any way I had one hooked up to an Xorus Pare Choc 9gm Jighead and began to fish with it just like I would anything else at night, just on a as slow as I could get away with straight retrieve. After nothing happening I decided to speed up the retrieve a bit to a normal daylight kind of speed for me. Whether it was the speed of the lure or the fact that maybe it was riding a little higher in the water column i’m not sure but it worked and as I felt a little tap on my rod tip I lifted into a fish. Result for me, it got it’s head down and went on pretty extreme run which is always enjoyable. 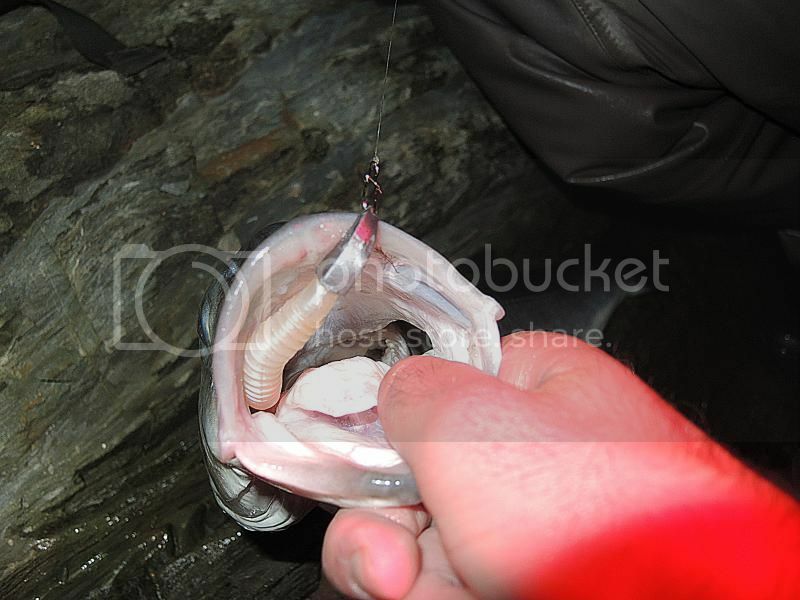 I was pleased when I landed my first 60 of the night and on a new lure. 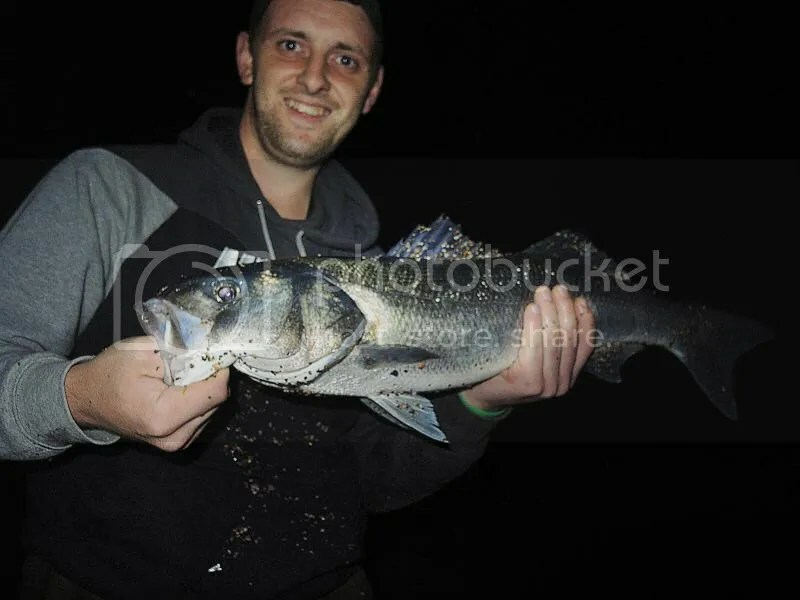 I stuck with this method and went on to land two schoolies and a 61cm fish! Tim fished his normal SGS and was soon into a fish after us. Another screaming run and he landed a fine 63cm fish! Job done and mission accomplished! 63cm for Tim! Bass fix sorted, but for how long??? Things where a little quiet to be fair and Tim hooked and dropped a good fish that went on a great run. Dave was still fishing away and tried a different lure after his Senko was smashed. Towards the end he managed another nice fish of 62cm again on a straight retrieved paddletail. Things certainly began to slow. Tim and Dave both missed a couple knocks… really need to hit them… lol and the action died out. We where planning on hitting another mark but we where all pretty tired by now and decided to head home but it just didn’t feel right when the sun was coming up. I wanted to be somewhere… snaking a zclaw along the surface but I just couldn’t find the energy! This entry was posted in The Fishing and tagged Bass, Bikoa, Lure fishing, Savage gear Sandeel, Seaspin, Senko. Bookmark the permalink. 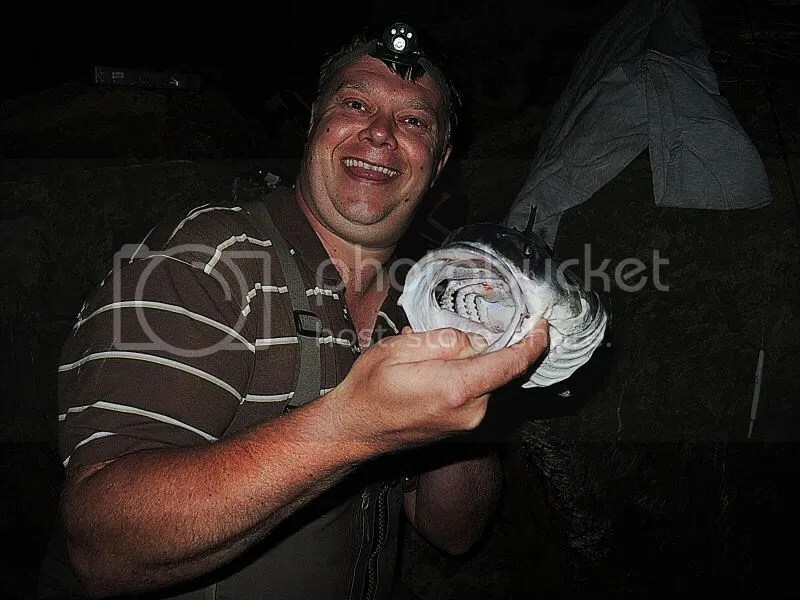 ← First Boarder Bandit Raid,The Cornish Lure Festival! Nice session chaps and well done on the PB to dave? 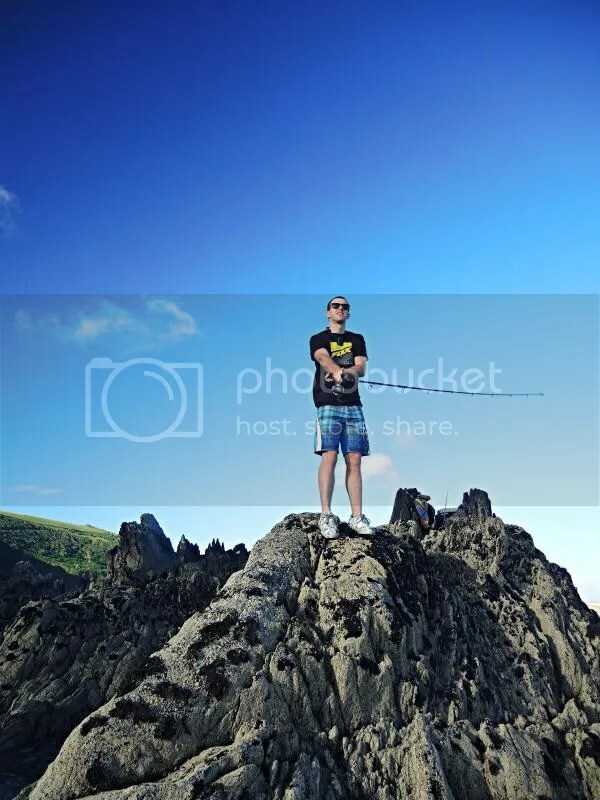 Some savage fishing there lads. Seaspin have some cracking lures.